UPDATE 3: Sony UK has officially walked back the original tweet, apologizing for the confusion – thus ending the sordid tale of this non-story once and for all. UPDATE 2: Rockstar has, at this point, confirmed to both Kotaku and Pixel Enemy that the Sony UK tweets were, indeed, mistaken. While that doesn’t necessarily preclude Grand Theft Auto V from coming to next-gen consoles, it does confirm that the tweets aren’t the accidental announcement they first appeared. ORIGINAL STORY: Sony may have just let the cat out of the bag. Sony UK later retweeted a message from the fan they originally responded to, rejoicing over the news…which seems to indicate that this wasn’t just an unfortunate typo. Speculation that the latest entry in Rockstar’s ongoing crime franchise might launch on next-gen consoles as well as current-gen – the same way games like Call of Duty: Ghosts, Assassin’s Creed IV: Black Flag and Watch_Dogs are – has been rampant basically since news broke of the new systems, but the developer has consistently maintained that GTA V would be a strictly current-gen affair. If Sony UK’s tweets are to be believed, Rockstar’s little white lie is out in the open – and not in an official capacity, which can’t make the dev too happy. Still, until someone with Rockstar or Sony comments, consider this a rumor. Grand Theft Auto V is scheduled to release on Xbox 360 and PlayStation 3 on Sept. 17. What do you think, gamers? 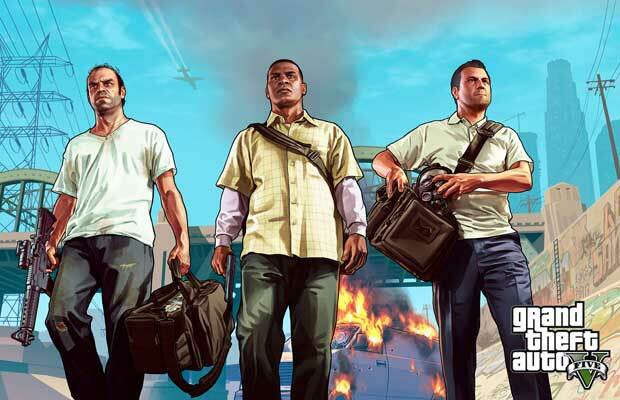 If GTA V launches on next-gen consoles, will you wait to pick it up? Why or why not? Let us know in the comments. UPDATE 1: According to Kotaku’s reporting, Rockstar’s official statement is that the tweet was a typo. The piece also points out that Sony UK’s Twitter feed isn’t strictly associated with Sony’s PlayStation division – that honor belongs to PlayStation Europe (@PlayStationEU). StickSkills has reached out to sources in hopes of clearing the confusion up and will update the story with any further information.